Shopping has changed over the years. It's about more than brick and mortar establishments competing with one another. They are competing with e-retailers, too. 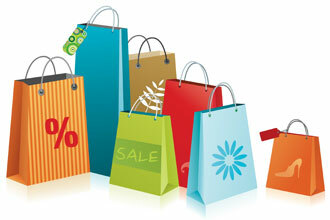 All retailers are looking for their place in the market and are using various strategies to get your business. 1. Be careful with "$ off if you spend $" promotions. Unless you are a regular shopper at a retail establishment, or are looking to buy quite a few things, be careful about the promotions to save a certain about when you spend a certain amount. If you weren't going to spend that much--don't. you don't have to spend more to get more off. Don't let this promo make you don't what your budget won't. 2. Full priced items on sale racks. Although this is usually a mistake by a shopper who changed their mind, you still want to be vigilant and not get to excited about an item clearly marked at full price, but sitting on the sale rack. It's not a trick by the retailer, but be careful getting your hopes up. Ask a sales associate first. 3. Know when to shop. Shop at department stores on Thursday evenings. Markdowns are made on Thursdays and you'll have the first pick of the price cuts. Also, learn how your favorite stores mark their items down. For example, when Target marks something down and the price ends in a 9, it will be reduced again. If it ends in a 4 or 8--that's it. It's on clearance, go ahead an buy. Thanks to Thrifty and Thriving for this Target tip. You don't always have to buy something new. Just find something new in your closet. Break outfits and wear things with other things you haven't worn them with before. If you are skeptical or hesitant to go bold with your outfits, get into accessories. Accessories brighten up your look. You can wear neutral colors and spruce things up with a necklace, bracelets, hat, earrings, rings, or whatever fits your mood best. Stay tuned for more tips. We've got a lot more where these came from to help you when you shop. Don't forget to check out the Cheap Girl's Guide to the Champagne Life for tons of tips on living like a star without breaking your bank!